A trench through the middle of the floor. A single wall in the entire 7,300 sq. ft. building. The ceiling support is visible. Soon, this will be the home of the new Durham Community Food Pantry. 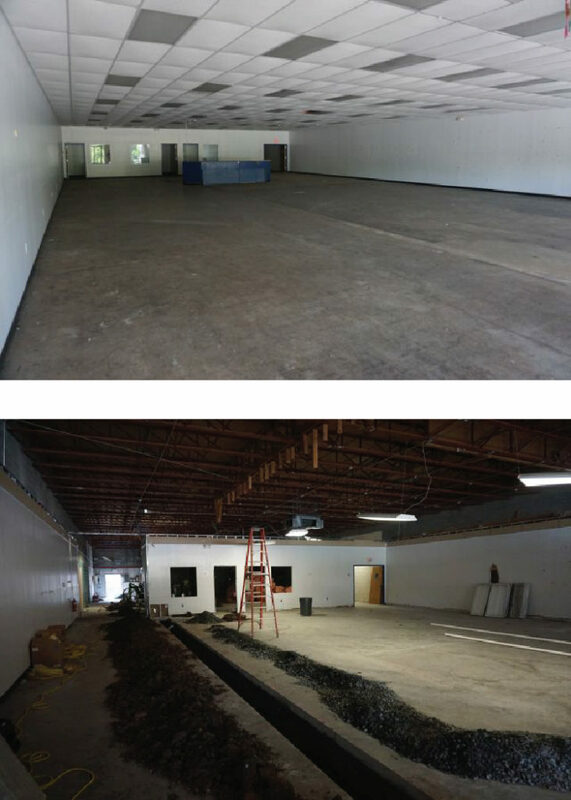 Construction has begun on space in the Lakewood Shopping Center to renovate this facility to make it a welcoming place for the new Catholic Charities program. Durham and Orange County residents who struggle to put a meal on the table will be able to receive about a week’s worth of groceries through this program. 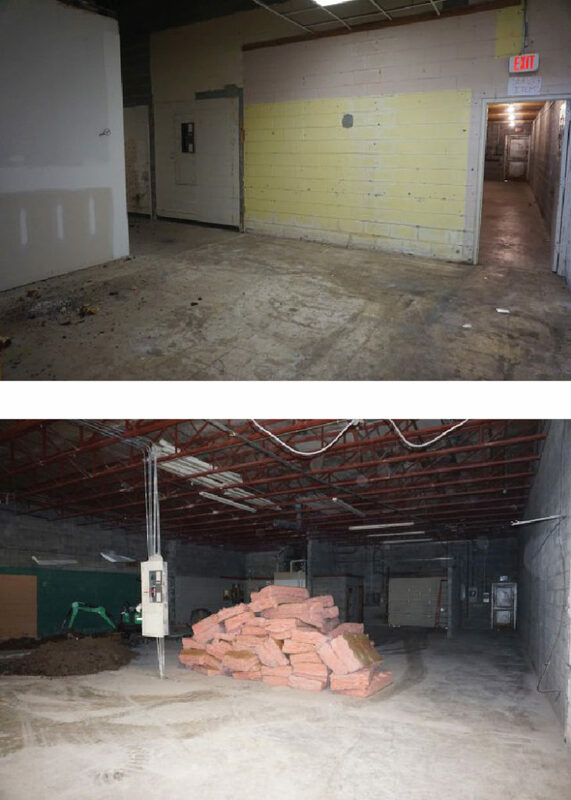 The first step for the Clancy & Theys construction team has been clearing out the old layout, except for one wall which will separate the food storage area from the pantry prep room and offices where staff will work with families. The trench through the floor needed to be dug to add piping to accommodate the new use of the space. Insulation is spread around the building, waiting to be installed. Soon, rather than tearing down, the construction workers will focus on creating the facility that will serve as the Durham Community Food Pantry, as well as house the Rev. Joseph G. Vetter Family Enrichment Center which will include office space for Durham region staff. The facility will also provide space for partner organizations to meet with clients, making additional services available. Also located at the Lakewood Shopping Center are El Futuro, the Scrap Exchange and Thrift Store, and El Centro Hispano, all programs focused on serving low income families in our community. The addition of the Durham Community Food Pantry in this location will add to the convenience for families to find many the services for meeting their basic needs and helping them move out of poverty. For more information about the food pantry, making a financial contribution, or volunteering, please visit www.CatholicCharitiesRaleigh.org/DCFP.